Today, I want to share the Google Teacher Tribe podcast by Matt Miller & Kasey Bell. They just wrapped their 2nd season and it is my #1 go-to podcast. 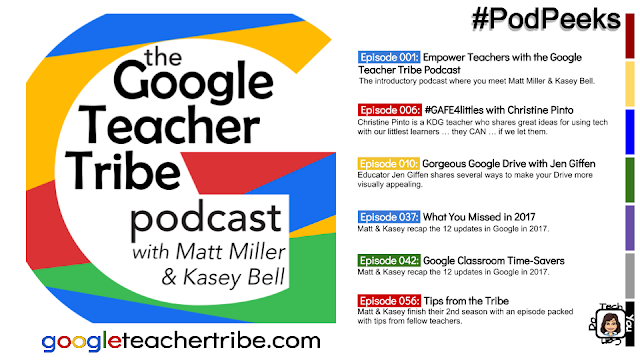 They share such wonderful tips and tricks and interview amazing educators. They have 56 episodes completed and ready for you to listen to. Below, I've highlighted 6 of my top recommended episodes.